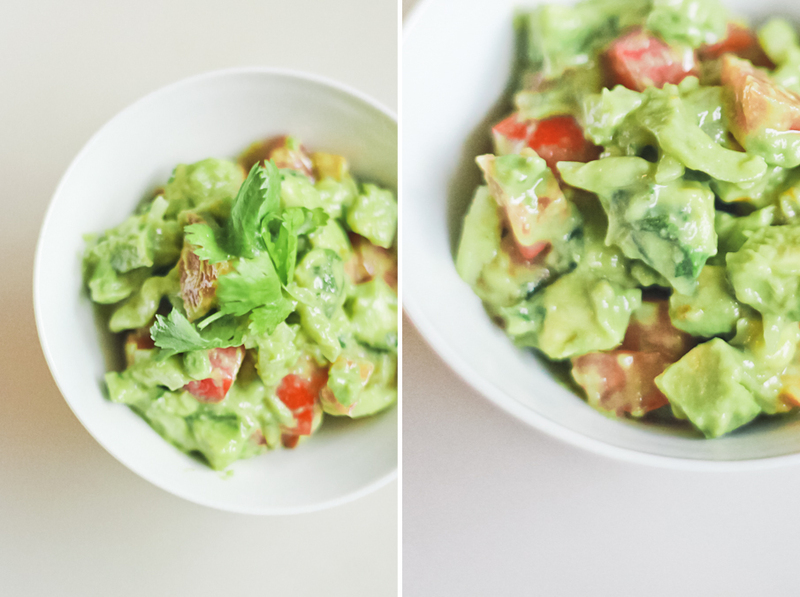 Don't Mind if I Do: Guacamole: a favorite. It's true. I love anything with avocado. Especially guacamole...well, I don't even know if that's even the correct term for this recipe because it's not mashed up avocado like a typical "guacamole"...it's more like a fresh salsa or pico de gallo with avocado -- It's light, fresh, vibrant, and TASTY. Pour lime juice over diced avocado. Add remaining ingredients and mix. Use it on your favorite taco, burrito or any Mexican dish -- my personal favorite is this guac atop some sweet pulled pork, cilantro rice and a tomatillo dressing, wrapped in a homemade tortilla. << a recipe to be shared later ;) >> What dish would you put it on? LOOOOVE Guacamole! I'll have to try this one ~ It looks delicious!